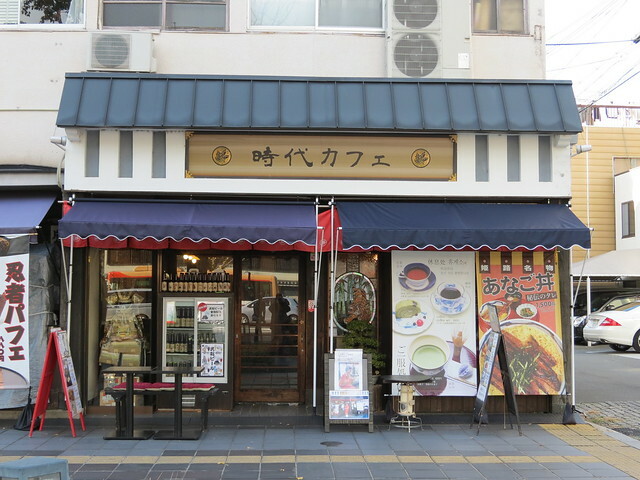 After returning from my Mount Shosha adventure on 18th December I decided to explore Himeji a bit more, and went in search of some kind of reward for my morning’s efforts. 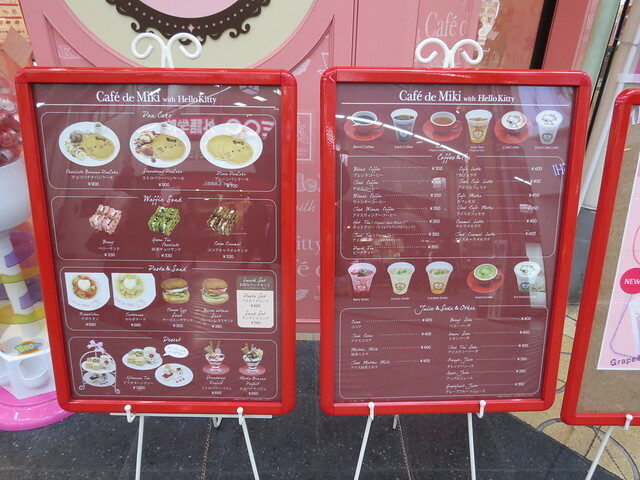 I soon found what I was looking for: Jidai Cafe. 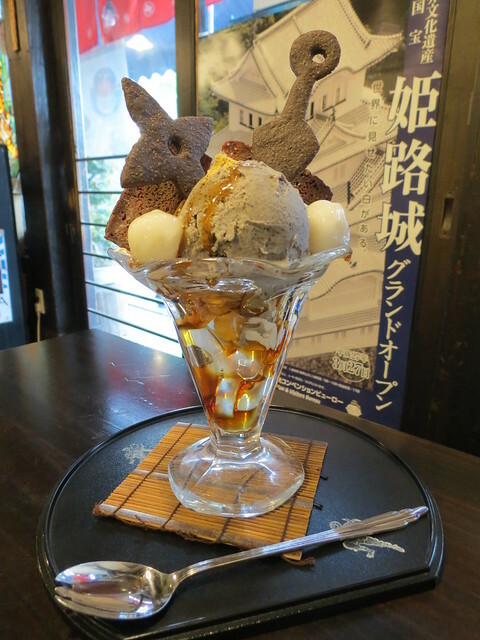 Jidai Cafe is a tacky tourist trap of a cafe serving ninja themed food, which was exactly the kind of silliness I needed that day. I bought myself a ninja parfait and settled down to enjoy it. No ninjas appeared, or if they did they were too good for me to notice them! 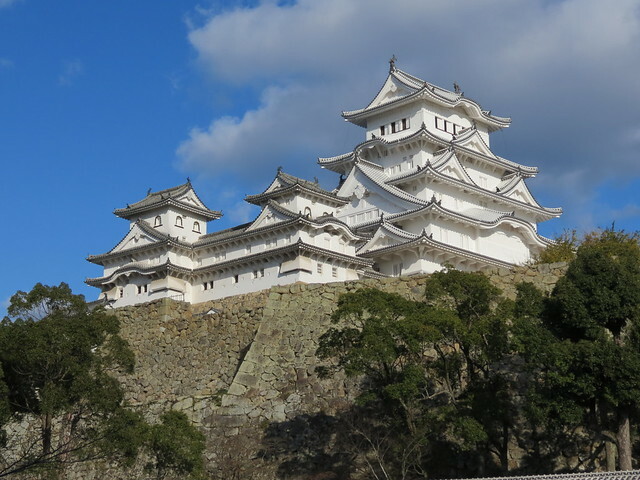 My next stop in Himeji was the castle – the most impressive of Japan’s 12 original castles (I’ve only been to three of them). I have been to Himeji Castle once before, briefly in 2009, but I didn’t really do it justice then or appreciate how great it was. 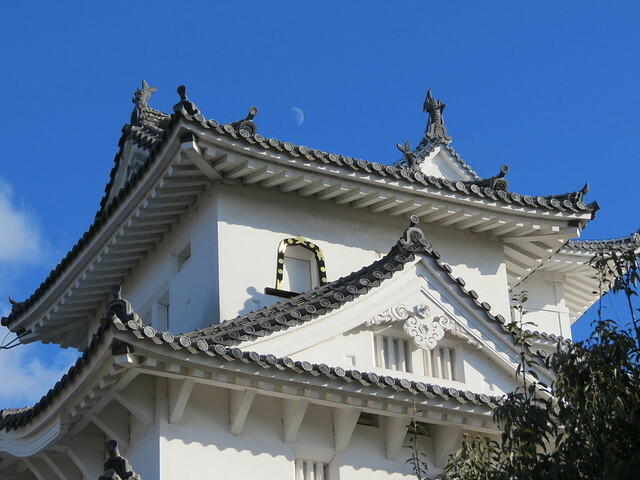 Himeji Castle (姫路城), known as the White Heron Castle due to its white exterior has recently undergone extensive renovation, reopening in March 2015. 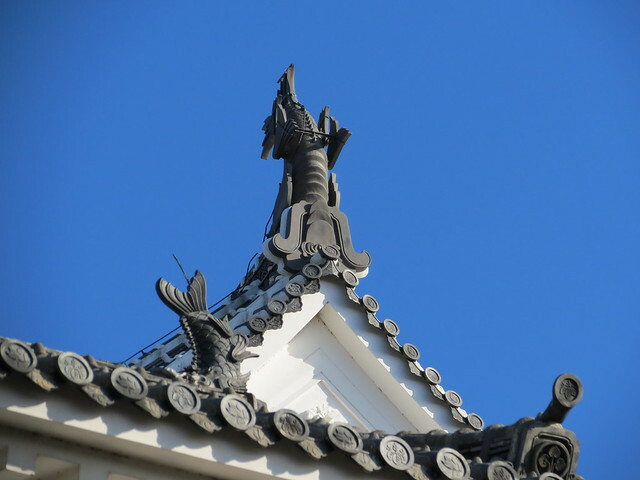 I don’t know if it was the new paint job, the brilliant blue sky, or something else, but this time I absolutely fell in love with Himeji Castle. 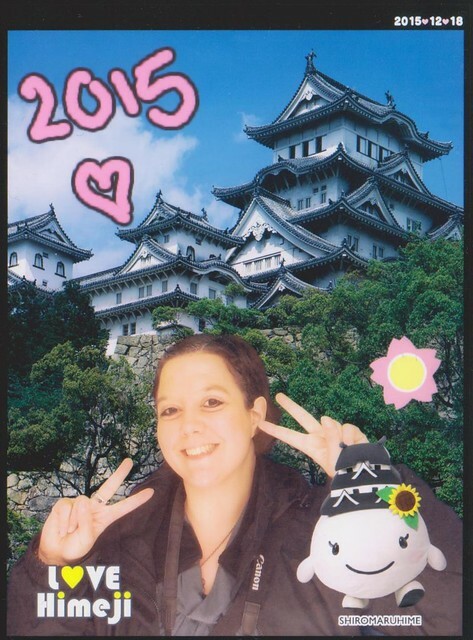 Himeji Castle – what a beaut! 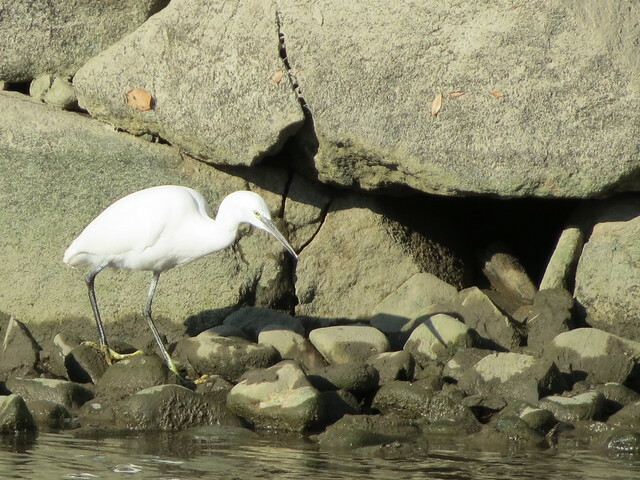 I even found myself a white heron! 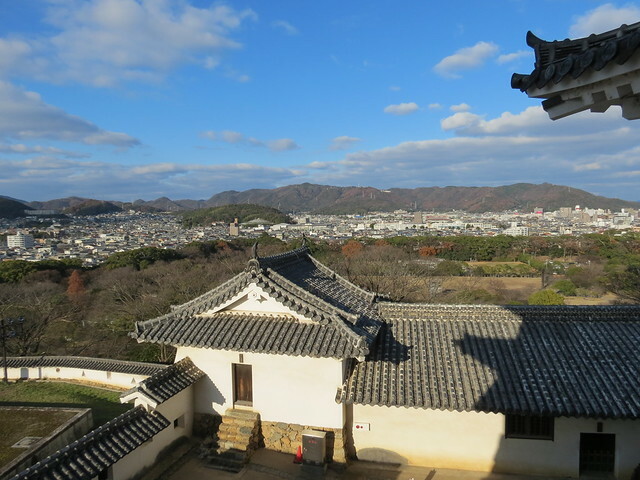 The first fortifications built on the site of Himeji Castle were completed in the 1400s, and the castle complex as it is today is over 400 years old, having been completed in 1609. The castle is massive, and really impressive inside too. Of course, there was an excellent view from the top as well – one of the reasons I love castles! 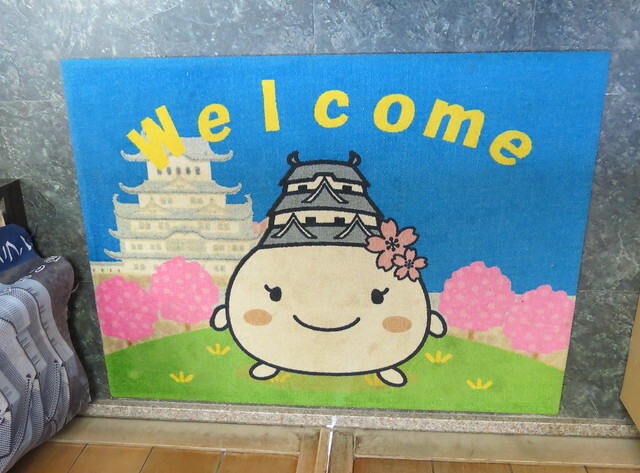 Naturally, Himeji Castle has its own cute mascot! 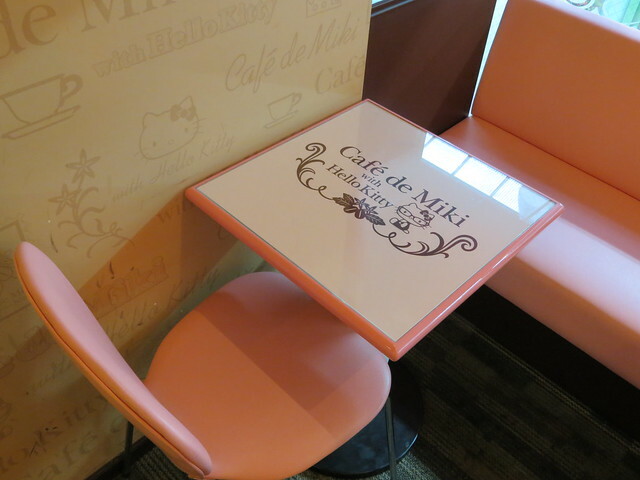 In town, I stumbled upon a Hello Kitty themed cafe! 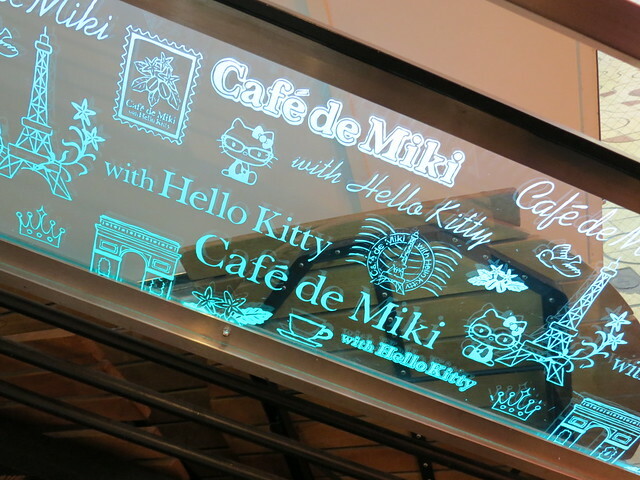 Cafe de Miki with Hello Kitty is a kawaii explosion of Hello Kitty joy! 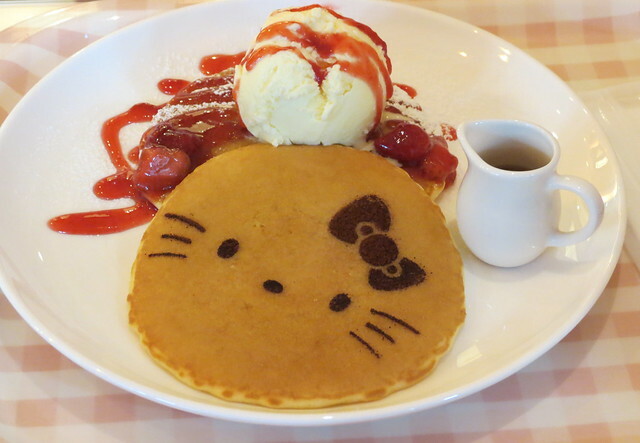 Everything is Hello Kitty themed, and I could have happily ordered half of the menu if I had been hungry enough! The food was really good (sometimes theme cafes don’t have the best food) and it was also really quiet when I went and I virtually had the place to myself. 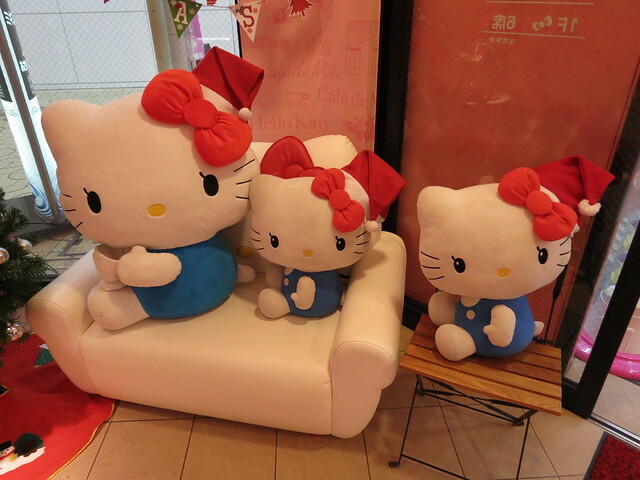 Hello Kitty all dressed up for Christmas! Having eaten more desserts than savoury food, when it came to dinner time I did attempt to be sensible. 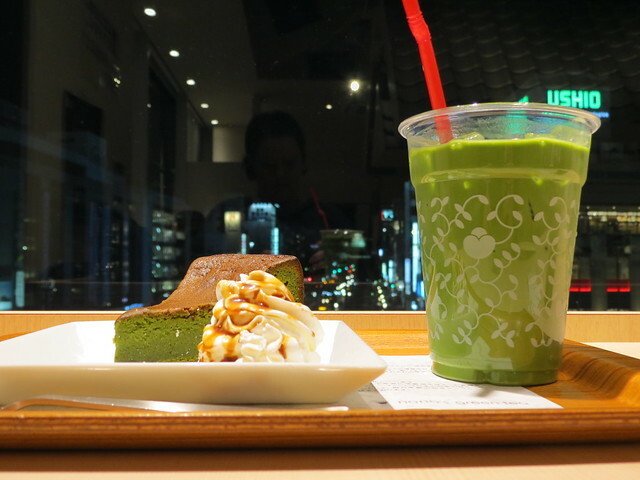 I had a lovely sashimi and rice set with miso soup from Nana’s Green Tea… and finished it off with matcha cheesecake and a matcha drink. Hehe. 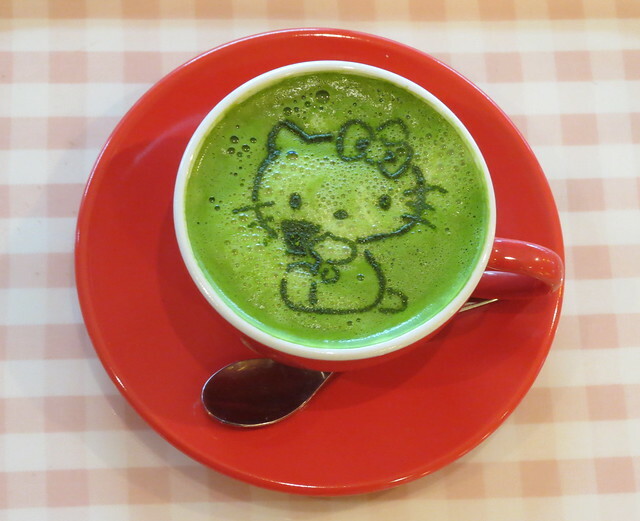 Nana’s Green Tea – celebrating my birthday early! 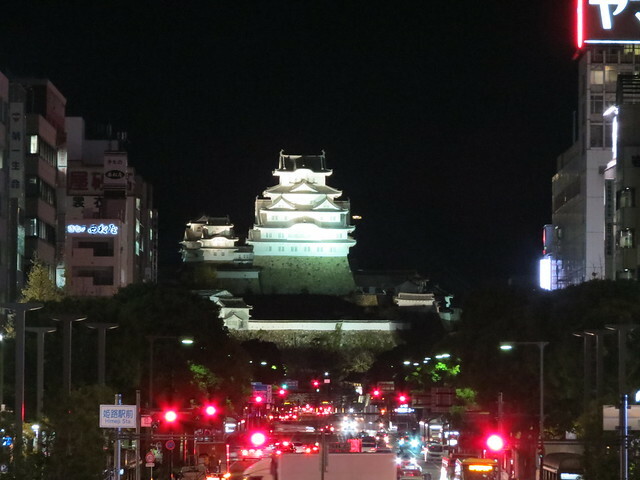 I could see Himeji Castle from the restaurant window, and it was a pretty cool way to end my day. The verdict? 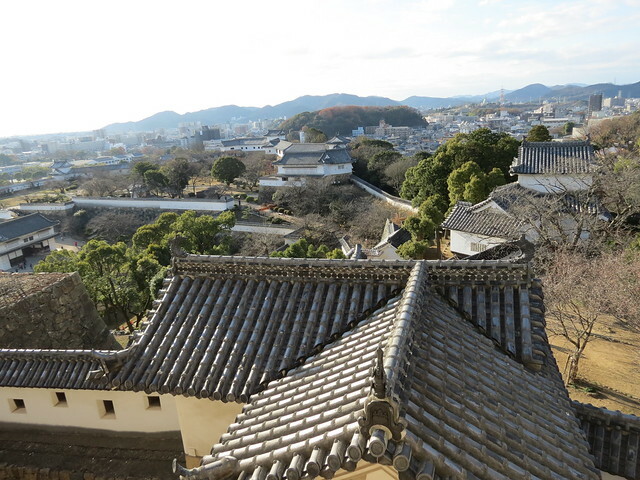 Himeji is a nice city! A lot of people visit the castle as a day trip from Kyoto or Osaka or en-route to other places, but I do think its worth actually staying a night or two and enjoying what the city has to offer. 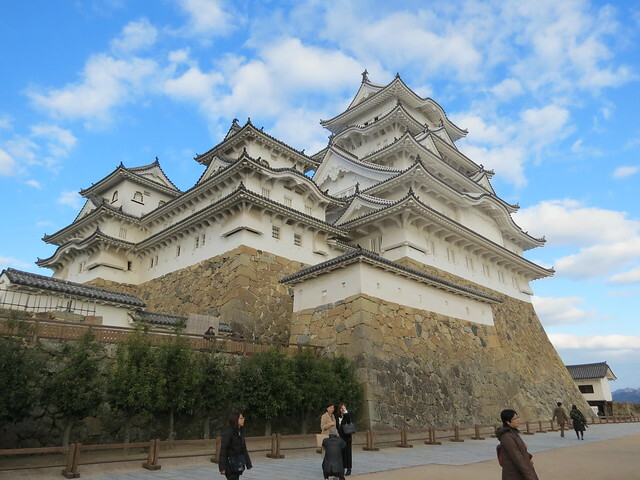 If you can only see on castle in Japan, it must be Himeji-jo. 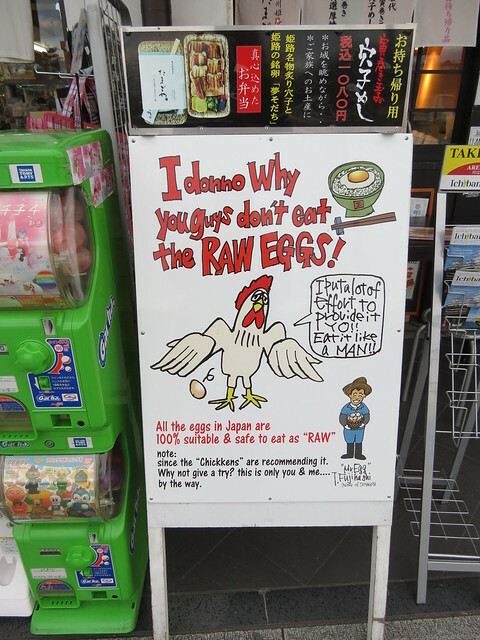 Even the Japanese agree it’s the best. In WW2, the allies refused to bomb it as it was too great an asset. You mention the “new paint job”. In fact it was years of cleaning decades of surface grime that revealed the original colour which earnt it its alternative name: Shirasagi-jo. Many of the locals claim it’s ‘too clean’. 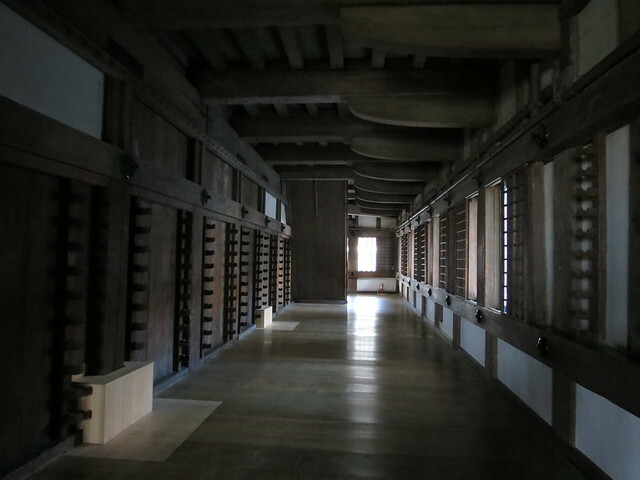 The nearby Hyogo Museum has a brilliant display of castle models including a large glass model. There is also the opportunity three times a day to be selected to be dressed by two assistants in either a Heian (Empress) kimono (12 layers) or samurai armour for men – a top photo opportunity. 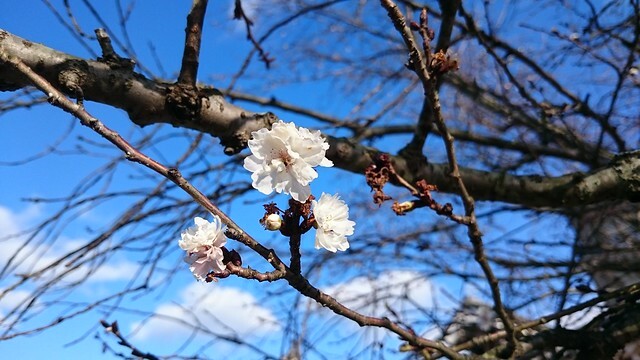 Hi – lovely post! 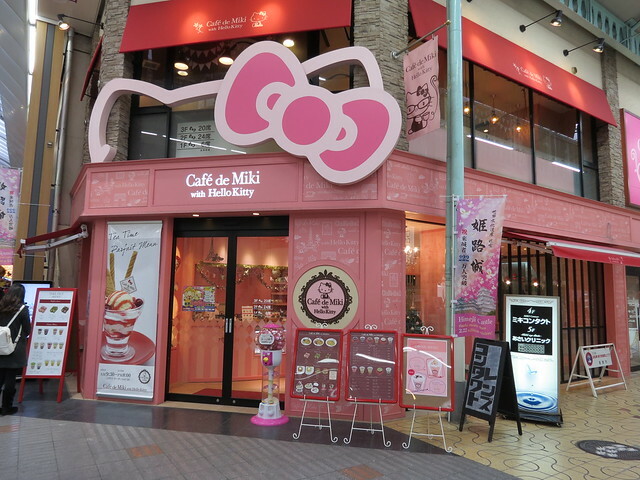 On my day trip to Himeji to see the castle, the ninja-themed and Hello Kitty cafés were the two other things I remember most in the city! 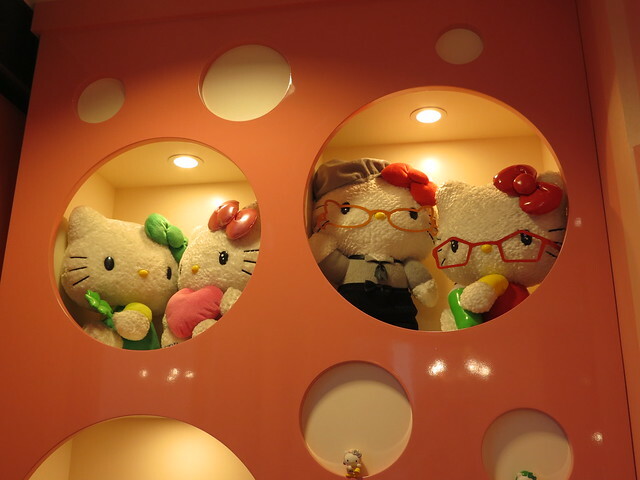 I dragged my two obliging friends into the Hello Kitty café and even though they are not fans, even they had to admit their matcha lattes were very cute!